Saintes and Cognac Tour Includes: Our private Saintes and Cognac tour includes private transportation, English speaking tour guide, taxes, tolls and parking. Departure Point: City of Bordeaux area only. This privately guided shore excursion from Bordeaux features the historic towns of Saintes and Cognac. Saintes, the capital of the former province of Saintonge, blends the charm of its white facades and colorful tiled roofs with well preserved antique and Romanesque landmarks. The city is considered one of the architectural jewels of France. 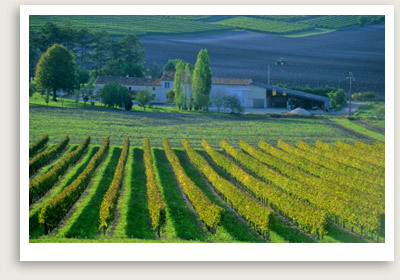 You will explore the town with your guide before heading off to Cognac, a city with an intriguing history. Because wine traveled poorly by sea, European merchants decided to try to distill it. In so doing they discovered “burnt wine,” now called Cognac. In your Cognac tour you will enjoy the gentle rolling countryside surrounding this namesake town, an hour and a half north of Bordeaux. Old Cognac — the medieval part of town — features narrow cobblestone streets with historic homes and brandy warehouses.